Stour Music, founded as a festival of early music by Alfred Deller in 1962, has announced that his son Mark, who has been running the festival for the past 44 years, will be standing down as Festival Director in 2019. 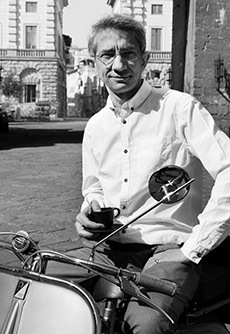 He will be succeeded as Artistic Director by Robert Hollingworth, director of I Fagiolini. Mark Deller, who began his career organising the first-ever Salisbury Festival of the Arts in 1967, took over the reins at Stour from his father in 1974, and subsequently was Director of the Canterbury Festival for 18 years, when it was re-established in 1984. In 1995 he was awarded an Hon. D.Mus by the University of Kent, for his services to the Arts in the region, and in 2014 was given an Exceptional Service Award by the British Arts Festivals Association. Robert continues as Anniversary Reader in Music at University of York where he teaches his MA in Music for Solo-Voice Ensemble Singing.